Static Sessions TV is a collaborative music video project/series from professional filmmaker Nic Justice and professional audio engineer CJ Blair. They aim to “showcase the nuances of emotion, vulnerability, and approachability that only live performance can bring,” providing an outlet for musicians as well as filmmakers with various levels of experience to practice their craft while learning from others. 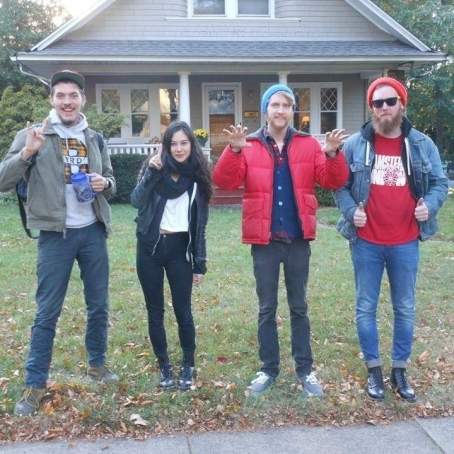 Check out one of their videos below of Psychic Teens performing “LUST,” off the band’s latest album COME (SRA Records)! Tonight, Golden Tea House offers you a chance to embrace the darkness. 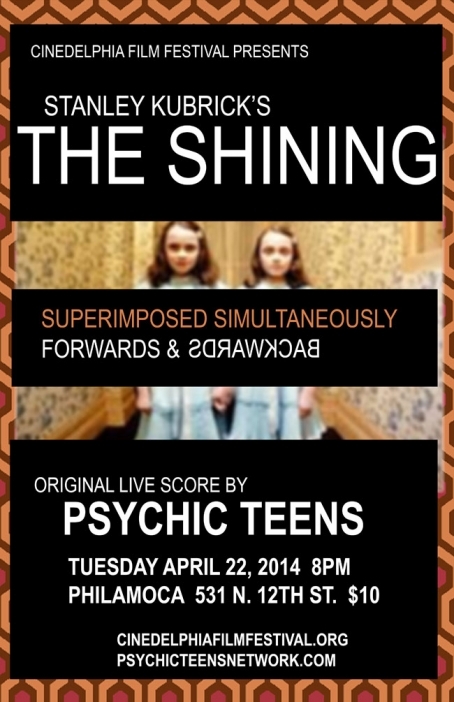 Kicking off an abbreviated run of dates, the trio of Psychic Teens usher in a noisy littered-filled musicality, building a creepy avalanche of anticipatory danger that makes their full-throttled instrumental approach an exhilarating horror film meets rollercoaster hybrid - a horror-coaster if you will. Heavy Medical will be joining the proceedings with their all-out sludgy, sledgehammer noise-punk, continuously smashing forward in conquest mode. The tandem of Ashley Arnwine (Bleeding Rainbow) and Joey Doubek (Hume) will also be combining forces to become Pinkwash, releasing an energetic experimental punk EP Your Cure Your Soil. Vancouver’s grunge rockers Weed close out the evening of heaviness in West Philly. 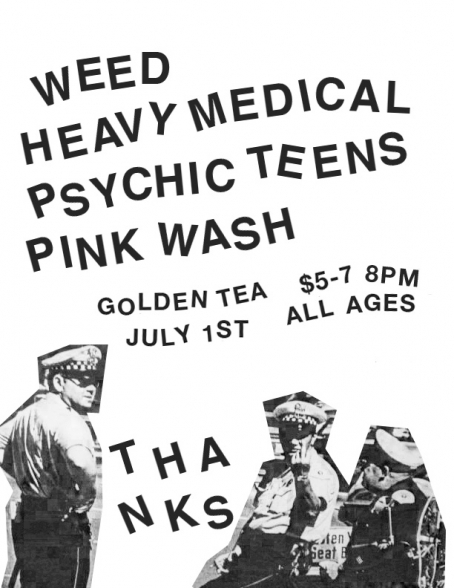 Golden Tea House, (Please contact one of the acts or venue for more info. ), 8pm, $5 - $7, All Ages - Michael Colavita. Tonight, Cinedelphia Festival puts a soundtrack to its experimental theater at PhilaMOCA. Inspired by the production of Brooklyn artist and film enthusiast John Fell Ryan, Cinedelphia plans to re-create his The Shining, Forwards and Backwards, Simultaneously Superimposed, a re-imagining of the classic Kubrick-Nicholson movie, based on a critical analysis of The Shining as being "a film organized with logic that flows both backwards and forwards." 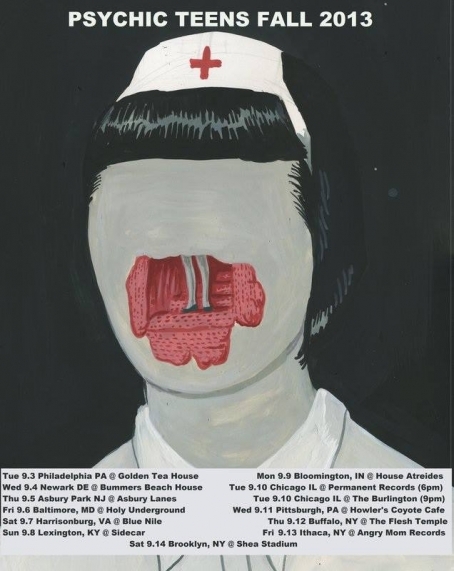 The evening will be scored by Philly faves, gothic post-punk trio Psychic Teens, who had also created their own instrumental soundtrack for the film Dementia, as part of last October's WKDU-curated Tuesday Tune-Out. With some of my favorite things under one roof, this event falls under the "must attend" category! PhilaMOCA, 531 N. 12th St., 8pm, $10, All Ages - Alexis V.